Sky has today closed down a number of its Movie Box Office channels, as more viewers switch to movies on-demand. Sky Box Office has been removed from channels 720-731 and 754/755. The removal follows new developments in the way viewers can access films from Sky. Viewers are increasingly directed to Sky Store, from where viewers can buy or rent films from Sky's vast library of content, and download them to their Sky boxes or other devices, rather than waiting for Sky Box Office's linear service to offer the desired film. Importantly, all but one of the Sky Movies Box Office channels are broadcast in standard definition, while Sky Store offers all films in HD. 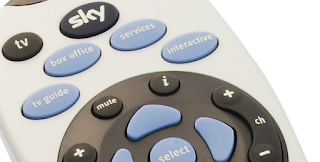 And with new functions such as the Restart Green Button being rolled out on most Sky+HD boxes and films from the main Sky Movies channels also being provided on-demand, fewer viewers than ever are reliant on the traditional linear satellite channels, which could herald further changes to how Sky Movies is offered to viewers in the future. The retirement of some of Sky's Box Office streams frees up valuable capacity on three satellite transponders. Part of the Box Office service continues via channels 700-719, 743, 744 and 752, where it will continue to offer movies and other special events to Sky viewers, plus content with audio description on channel 744. Also today: Sky Movies Star Wars was replaced by Sky Movies 80s, a new temporary service dedicated to films from the 1980s.